For those new to Photoscape I will start by giving a brief tour of the functions.The image below is a screenshot of Photoscape 3.6 with the image we are going to be working on already loaded. 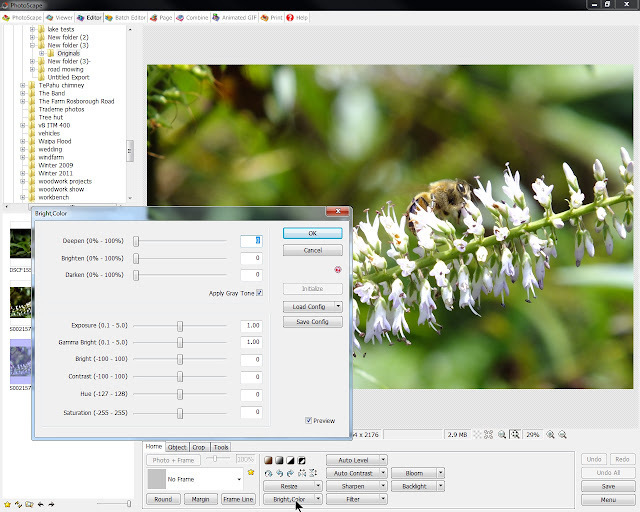 Key components are the Home/Object/Crop/Tools tabs. These supply access to all the main functions of the editor. 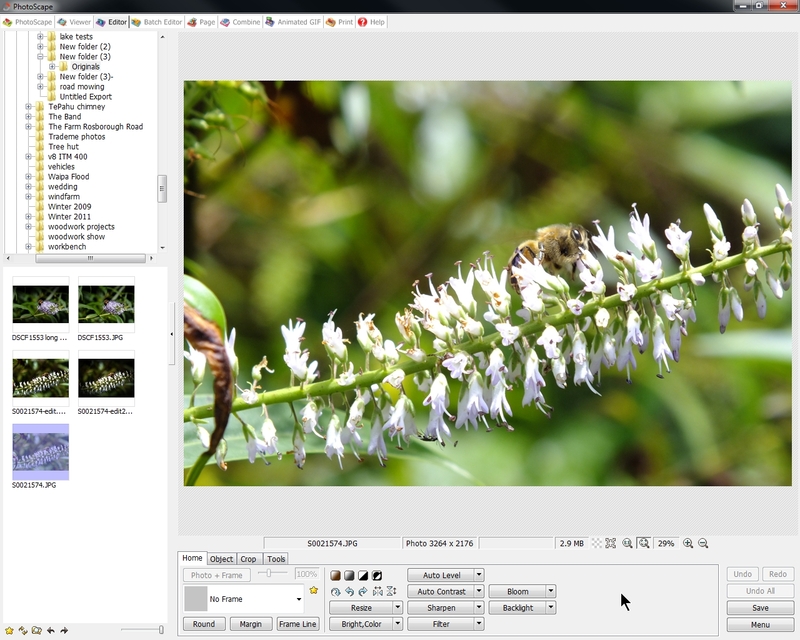 The second set of components are the control buttons that are accessed for fine control of the image. The names on each of these buttons needs no explanation, if you have done editing work before you will be familiar with the names. Each of these buttons has an arrow alongside it (arrow down indicators) , and this gives access to a wide variety of extra features that are commonly used. Don’t worry if this seems a little alien, I will show images of each step in the process and what controls are used. Selecting the main Brightness & Color controls. Note where the cursor is positioned. 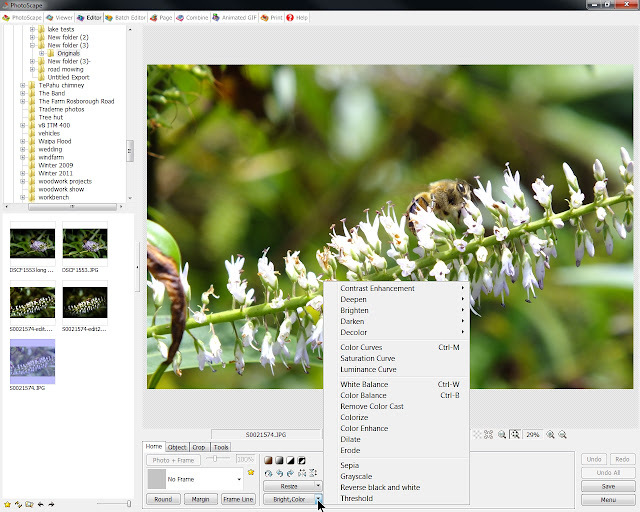 Selecting the Brightness & Color controls sub menu. Again note the position of the cursor to access this sub menu. Of all these controls only the Filter control button has no underlying sub commands.